Harshaali Malhotra is a cute little girl who made her Bollywood debut from the movie "Bajrangi Bhaijaan" in the year 2015 along with actors like Salman Khan and Nawazuddin Siddiqui. Before stepping into Bollywood, she has appeared in many commercials like Fair & Lovely, Pears, Hyundai Xcent etc. She can also be seen in some printed advertisements for brands like HDFC Bank, Apollo tires, and Horlicks. She was last appeared in TV soaps like "Qubool Hai" and Laut Aao Trisha(Life OK Channel) in the year 2014 where she played the character of Anjum Khan and Saanya. Harshaali has been nominated for the Best Actor Debut in the Female category on BIG Star Entertainment Awards 2015. Harshaali Malhotra was born on 3rd June 2008 in Mumbai ( Maharashtra, India ) to Vipul Malhotra ( Father ) and Kajal Malhotra ( Mother ) and studying in Seven Square Academy School currently. She has a brother named Hardik Malhotra. She is just seven years old right now but has got the capability to face the camera with an ease. Apart from serials like Qubool Hai and Laut Aao Trisha(Life OK Channel), she has also been a part of "Savdhaan India" and "Jodha Akbar". She is very talkative in her real life but in movie "Bajrangi Bhaijaan", she played the character of a mute girl which really amazed everyone on sets including her mother especially who knows it very well that she can never stay without talking in her real life. 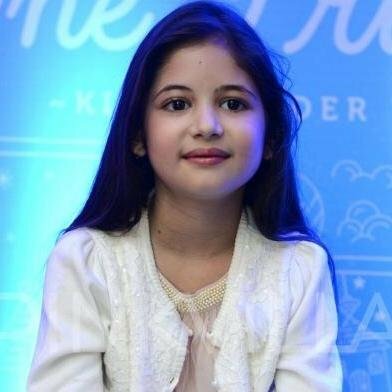 It is being reported that Harshaali has been chosen for her role in "Bajrangi Bhaijaan" after a damn huge rejection of almost 1000 contestants. The film was directed by Kabir Khan produced by Salman Khan and Rockline Venkatesh. Harshaali has played the character of Munni in this film who is from Pakistan found herself lost in India and seeking ways back to her country over borders. Salman said about Harshaali that "I absolutely loved every moment of working with her. She is such a beautiful girl. What she does on-screen and off-screen to people is unbelievable. She is the most gorgeous, most beautiful child that I have ever, ever met.". Harshaali used to call Salman Khan as Mama ( Mama is a word basically used by Indians to call her maternal uncle who is the brother of caller's mother ) and said that she is dying to meet him. She was jumping with excitements when came to see him first. Salman and Kabir offered chocolates to her and we came to know that Dairy Milk Silk is her favourite.